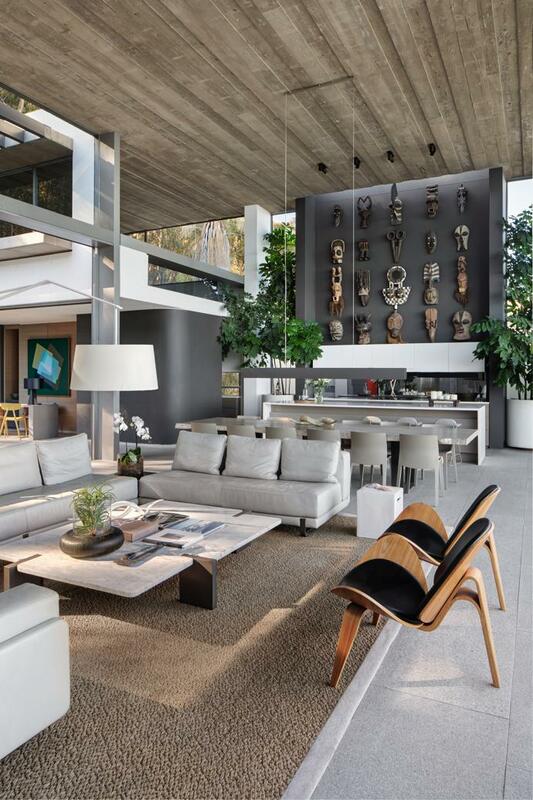 The main living areas are at the very top of the building, making the most of the elevation. 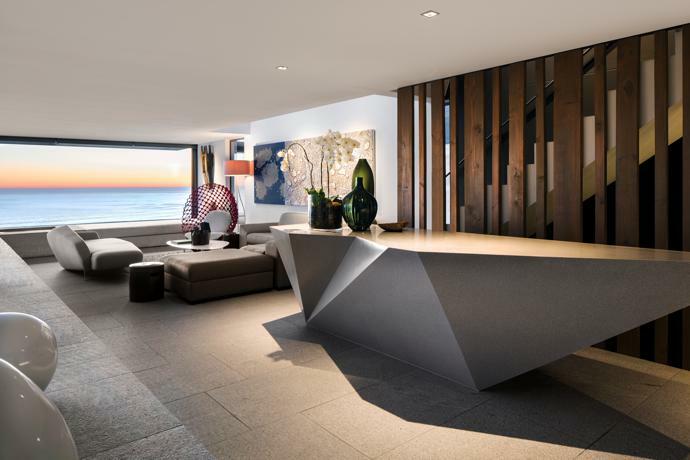 Designed with a purposeful permeability, from up here, the inside-outside living areas flow not only onto one another, but also straight onto the mountain. 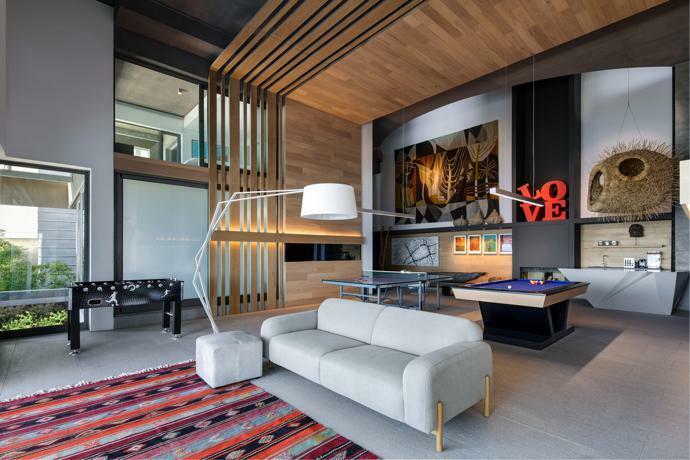 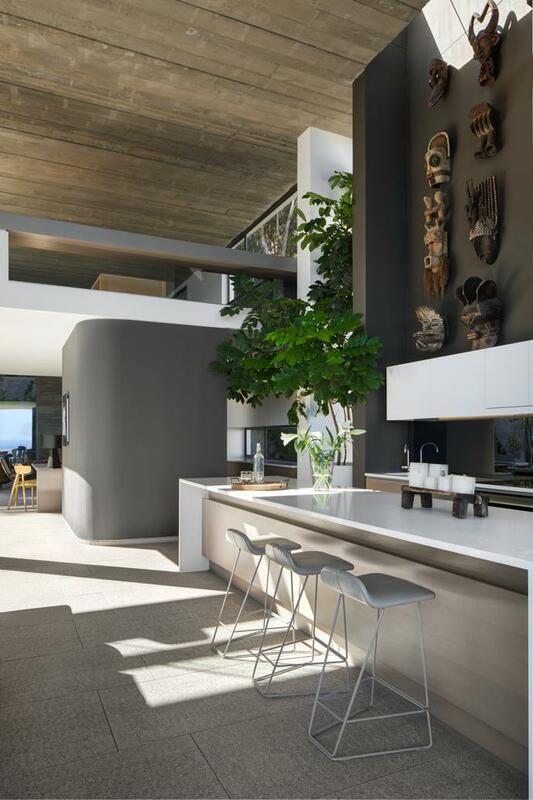 Breathtaking panoramic views command the expansive, double-height open plan space, which houses the kitchen, bar, dining, living and family rooms as well as a winter lounge, study and art studio at a mezzanine level. 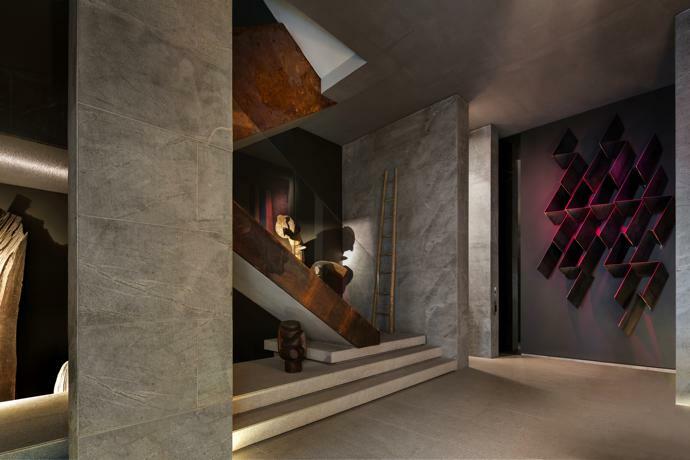 The lower levels which abut the mountain feature six generous bedrooms, three of which can be interlinked for a family suite, and a double-volume entertainment space complete with spa, games and cinema. 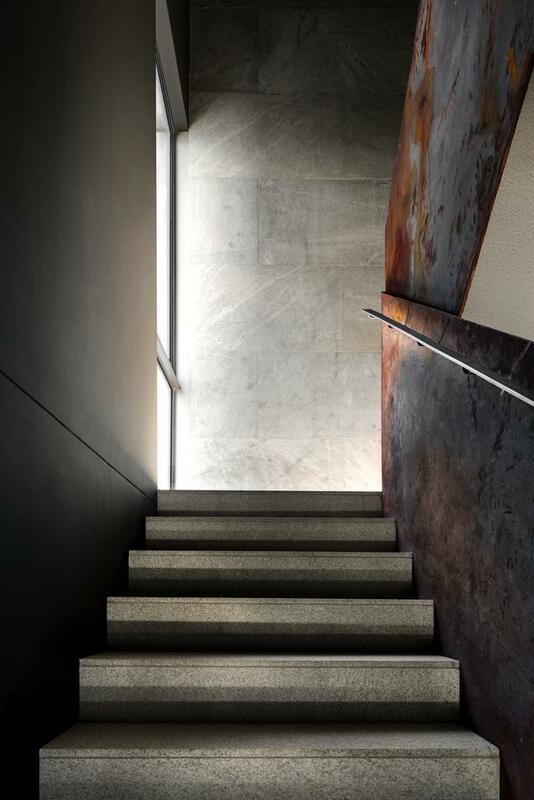 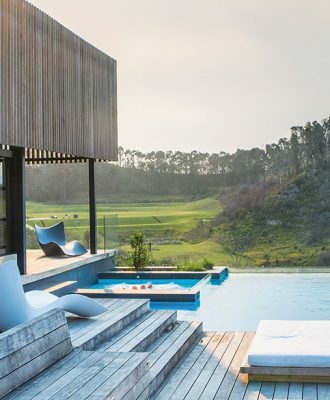 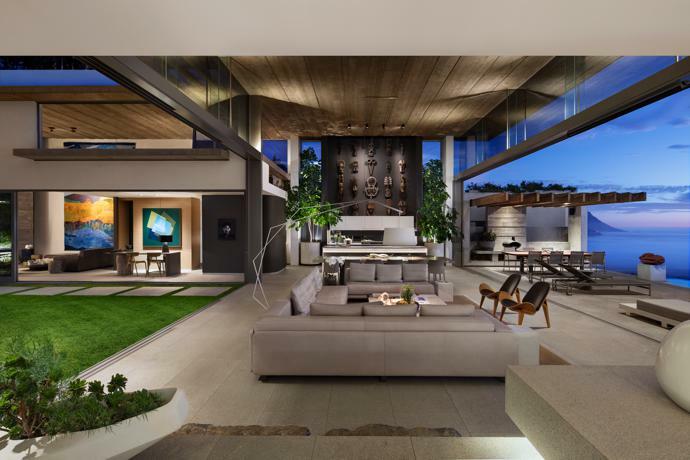 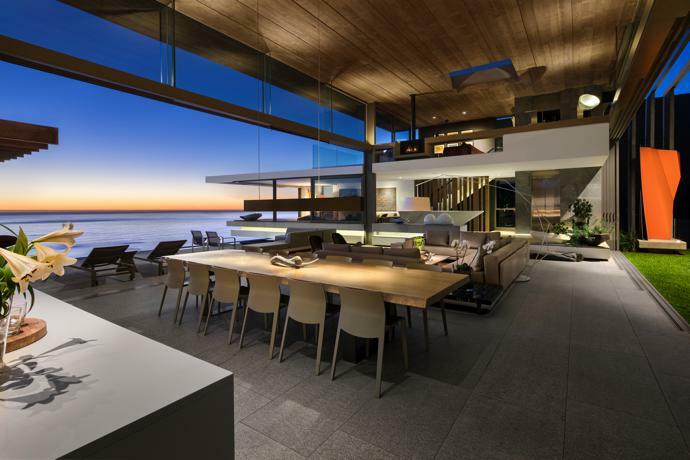 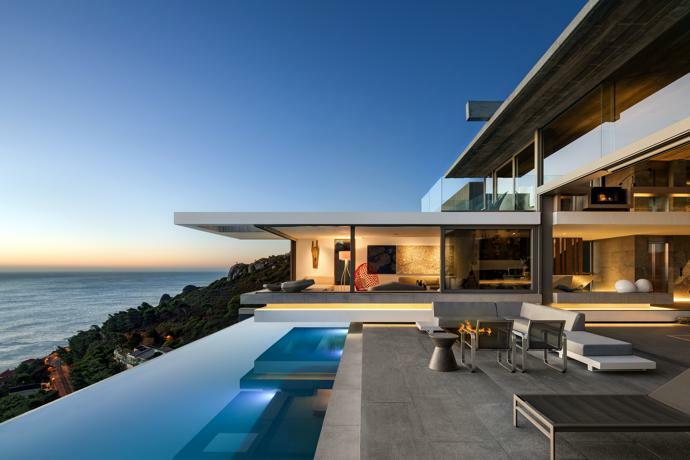 The house, according to SAOTA, feels like a robust, seamless form whose functions are defined by intersecting planes, ceilings and floor treatments. 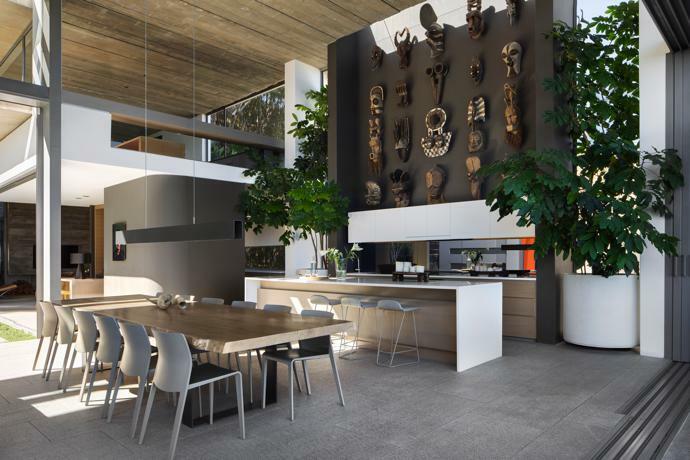 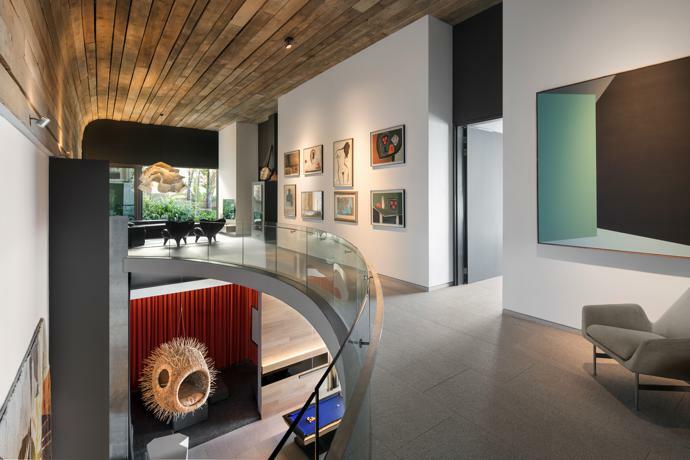 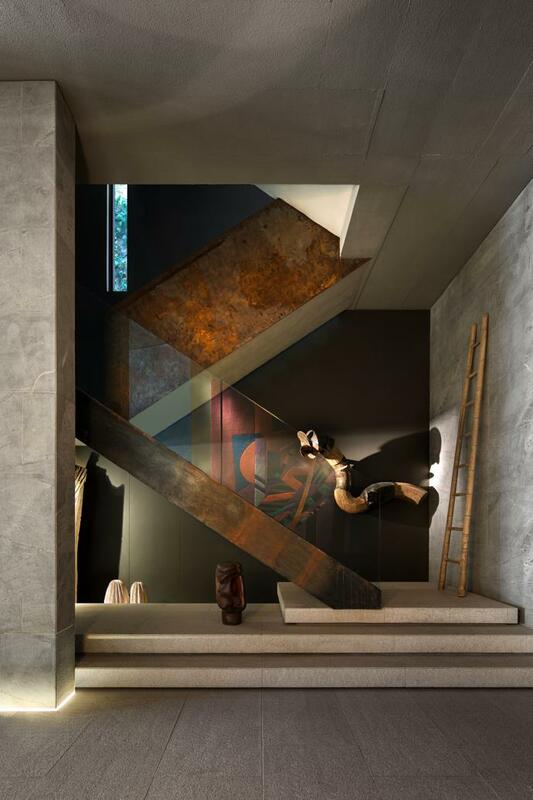 The masterful interplay of light, space and raw materiality in the house complements the considered collection of contemporary South African art, working together to blur lines between home and gallery. 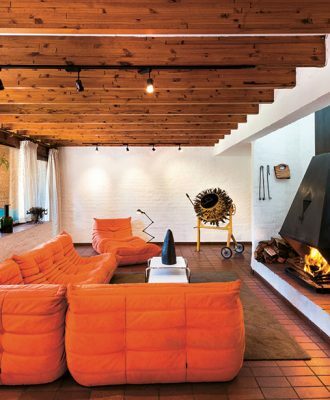 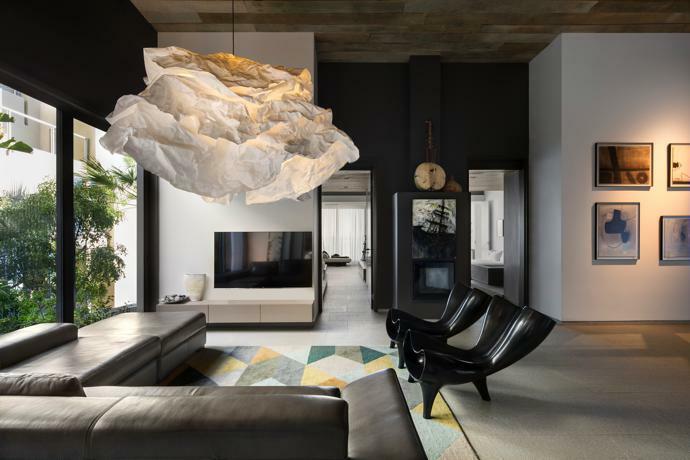 Interior design studio ARRCC worked with furniture design and interiors company OKHA to bring the interiors together. 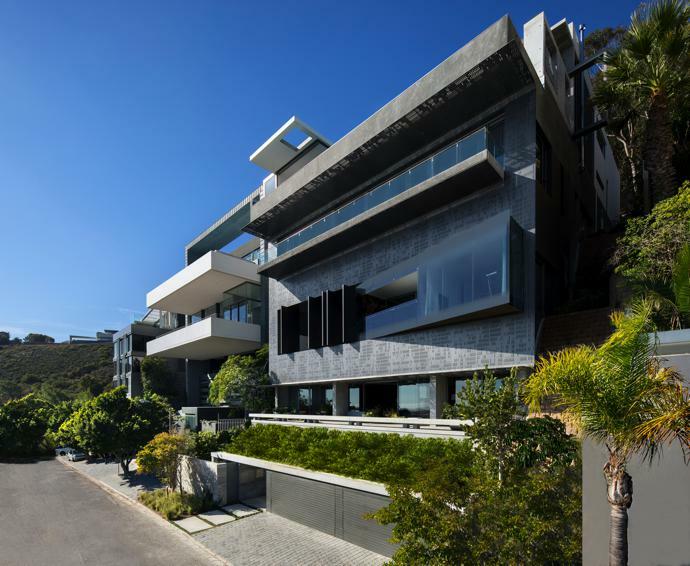 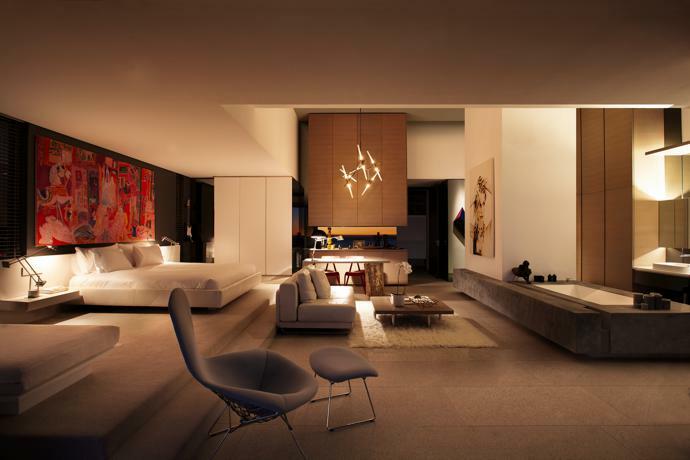 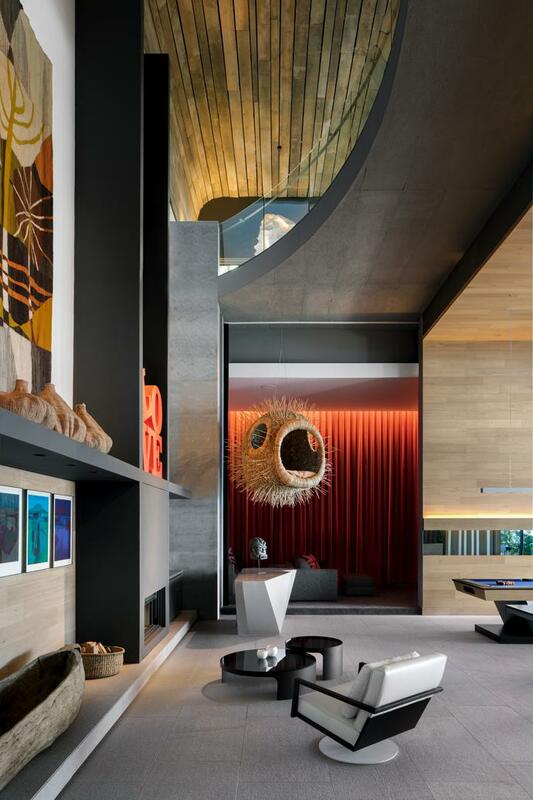 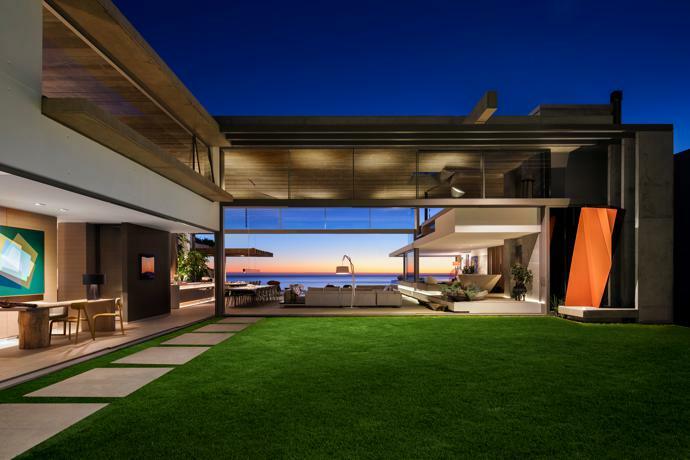 Check out more of SAOTA’s extraordinary properties here.